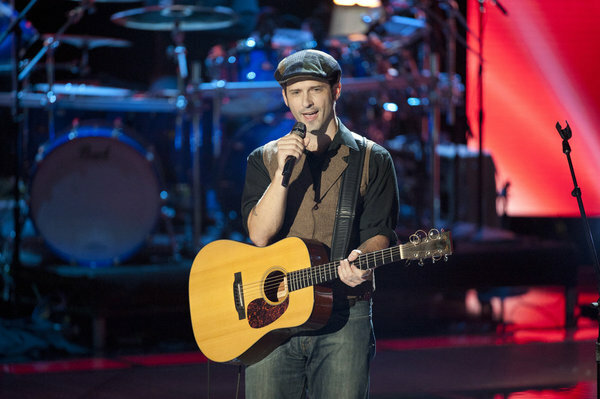 If you judged Tony Lucca purely on what you saw on The Voice, you didn’t get to see all of him. While his history and interactions with coach Christina Aguilera made the headlines, what that often eclipsed was the fact that he’s a dynamic performer whose work ethic and confidence absolutely earned him the honor of being Team Adam’s finalist. Regardless of where he started his career or who he knows, the bottom line was could he compete? He answered that question with a resounding yes, whether it was his version of Peter Gabriel’s “In Your Eyes” that caught the attention of John Cusack, or his turning Britney Spears’ “Baby One More Time” completely on its head (#8 in my list of top moments from the season), or his oh-so-appropriate and so fantastic rendition of The Heavy’s “How You Like Me Now?” that was practically daring the audience to answer that question. Yet if he seemed to catch fire near the end of the season, maybe it’s because we weren’t wise to what he was doing. His fellow competitors raved about him all season long. Team Cee Lo’s Tony Vincent told me in March that he “really, really impressed me…His style is very unique and when you see what he does on his original material, his talent is unprecedented. The guy’s authentic, he’s endearing. You care about what he’s singing about.” Justin Hopkins was a strong supporter of Tony’s all the way through the finale, and season one champ Javier Colon said he really thought that Tony would bring home the title – not the first person who’s made that statement. Tony was always a tough competitor – he just raised his game even further when it mattered most. He picked the perfect coach in Adam Levine, who not only helped Tony with his existing skill set, but worked with him to do things that he wouldn’t have considered on his own. “There was plenty for me to learn and there still is plenty for me to learn,” Tony said. “Adam really empowered me and gave me a sense of confidence that only comes from risk and return. [He was] showing me how to take stronger risks with the opportunities that are made available to you. I really got a handle on that this season. I’m able to understand my value a little better than maybe I had before. Maybe feel like I’m bringing a little more swagger. “I never really saw it coming,” he continued, speaking of his trajectory on the show. Though he’s much more than the constant questions about Christina’s comments toward his performances, he recognizes the benefit those moments brought as well, explaining that if they hadn’t happened, “it wouldn’t have compelled us to move in the direction that we did, and I wouldn’t have tapped into something that excited me tremendously. The turning point in Tony’s tenure was clearly his performance of “Baby One More Time,” which turned the pop song into a rock anthem that had the entire audience cheering when it was over. Once he and his coach saw the reaction to their daring idea, they continued to take calculated risks all the way to the very end. For this writer, it’s easy to see why Adam connected with Tony and believed they could win it all together. Adam is one of music’s true good guys, who knows what it really means to work for your success, and so is Tony. Here’s an example: when I arrived to cover the Universal CityWalk concert that happened before the finale, even though he was getting ready for a satellite media tour and I was at least 30 feet away from him, Tony noticed I’d shown up and acknowledged me. And while he didn’t have time to chat that day, he still stopped to say hello and gave me a hug. That’s a gentleman, as well as an outstanding artist. It’s unfortunate that his heart and his talent got a little bit lost in, or at least encumbered by, the things that happened along the way. For more on The Voice, you can follow my Voice-exclusive Twitter at @bigredchairs. (c)2012 Brittany Frederick/Big Red Chairs. Originally written for BuddyTV and appears here for purpose of archival. No reproduction permitted. All rights reserved.